Communication between caregivers and others throughout a healthcare organization, be it a health system or hospital or group practice, is critical. Any hiccups in communications can directly impact patient care or even cause medical errors. Healthcare communications technology has come a long way since the days of pagers and landline telephones. 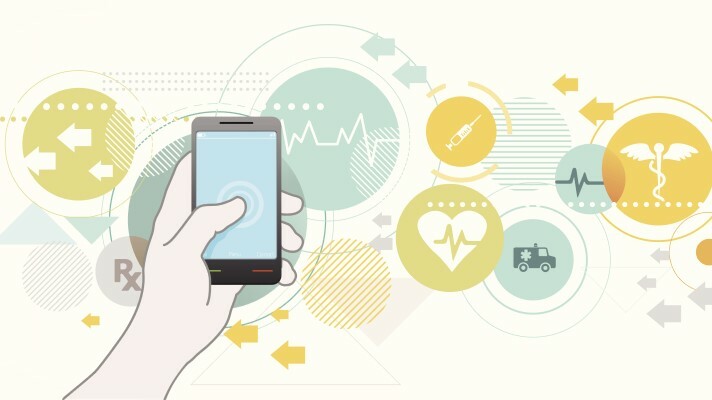 Today smartphones are everywhere, mobile apps and portals are connecting caregivers and caregivers not to mention caregivers and patients, and doctors and nurses are communicating via other healthcare information systems. Here, three experts in healthcare communications technology offer comprehensive best practice advice and knowledgeable tips for healthcare CIOs implementing communications technology, which is also useful for those organizations with communications technology already up and running. With a wide variety of offerings on the market, many of which have overlapping functionality, even knowing where to begin can be overwhelming. Healthcare organizations have to be vigilant in their approach to avoid making four very common mistakes, said Paul Coyne, RN, senior director, clinical informatics and advanced practice nursing at the Hospital for Special Surgery in New York City. "First, having a primary goal of selecting the application, or suite of applications, that have the most robust features at the lowest price point," Coyne said. "Second, implementing many applications with overlapping functionality to placate various internal stakeholders. Third, thinking that a clinical communication tool will magically solve all of your process problems. And fourth, choosing a tool because many other organizations use it and you don't want to fall behind." All of these pitfalls can be avoided by ensuring that every decision along the way is made with one primary goal in mind: To comprehensively examine the organization's unique needs and implement a technology stack that meets them optimally, he advised. "Most provider organization still need to collaborate teams on creating a strategy map to achieve the highest level of mobile technology adoption success especially in the context of clinical communications and messaging investments." "This is true for every kind of technology, but it is particularly important for a communication technology tool," he said. "Why? Because without the input and buy-in of the entire organization, and most important those on the front lines, the tool will have minimal return on investment. Implementing clinical communication technology takes a very large time and resource commitment to do right, but if you can't commit to doing it right, it's better not to attempt it at all." Healthcare organizations have to remember that they are only provided tools in the form of software, and it's the responsibility of everyone in the organization to ensure collective use and internal optimization of those tools, he added. Douglas Brown, president and managing partner at Black Book Research, a healthcare technology and services research firm, said successful implementation of a healthcare communications technology starts with assessing the organization's mobile maturity status before making a clinical communications investment. "In the Q3 2018 Black Book study of clinical communications adoption, just 11 percent – 12 of 111 provider IT managers – reported selecting a solution or system in the previous 12 months based on a full organizational strategy/vision toward complete outcomes management," said Brown. "Regarding the vendor selection process, 75 percent – 83 of 111 – stated their clinical communications solution investment decision was the result of an awareness to migrate toward an integrated platform but did so without using a disciplined framework to chart a comprehensive mobility strategy prior to vendor selection." In a follow-up survey in Q1 2019, more than half of those providers that had invested in and attempted implementations of clinical communications technology (60 percent, or 52 of 86) reported entering the strategic process too late to comprehensively assess the impacts of maintenance, workflows, applications and infrastructure modernization projects on mobility technology success. "For many providers, with the industry application development frenzy starting in 2014, healthcare delivery has operated in response mode from the rapid fragmentation of workflows caused by single purpose apps," Brown said. "The result has been a high degree of fragmentation across the technical stack and clinical workflow capabilities." This has created significant infrastructure, application maintenance and user satisfaction issues, he added. "In Q3 2018, 28 percent – 29 of 105 – reported their organization in some part depended on their selected solutions vendor to steer them away from legacy devices to modernize infrastructure without consideration of comprehensive mobile application design," he said. "However, the industry has witnessed a concerted effort by the industry to seek true platform approaches to mobility solutions and the glut of apps." There is an industry shift to clinical communication platforms that encompass more simple, secured messaging, and some vendors are making advancements toward delivering a united app solution, Brown said. "Important to note, a June 2018 Black Book survey of consumers revealed 9 in 10 would leave their current healthcare provider for another seeking high satisfaction from those that offer streamlined, comprehensive clinical communications and technology," he said. "Most provider organization still need to collaborate teams on creating a strategy map to achieve the highest level of mobile technology adoption success especially in the context of clinical communications and messaging investments." A good place to start is by assessing the current state of communication technology throughout a facility; this could be imperative to discover what needs must be addressed. "Clinical leadership and staff must be engaged to ensure that their needs and the needs of the patients will be met with the new technology being considered," said John Elms, CEO of Critical Alert Systems, a vendor of nurse call systems for the acute care and LTPAC markets. "This includes both substantiating and identifying any gaps within the policies, processes and workflows." "Clinical leadership and staff must be engaged to ensure that their needs and the needs of the patients will be met with the new technology being considered." As workflow differs from department to department, it is important to perform these collaborative assessments for each individual unit, Elms said. Once that knowledge is gained, one must explore how the communication technology under consideration can bring efficiency to those workflows, he added, by asking three questions: What needs to be communicated? When does it need to be communicated? And in what format does it need to be communicated? "In those implementations where every event becomes a phone call or other form of notification, alarm fatigue runs rampant," he said. "In our estimation, context-rich, textual communications sent along with the appropriate priority offer a superior methodology for increasing user adoption, staff satisfaction and patient safety." Brown of Black Book Research offered a second communication technology implementation best practice: Establish ROI goals prior to implementation. "Clinical communications platforms are a costly investment," he said. "However, in the Q3 2018 Black Book survey, only 9 percent – 10 of 110 – reported establishing a means to measure wins and improvements through the implementation. Without a way to demonstrate noteworthy return on investment over status quo, they lacked the advancements in patient outcomes and mission-supporting achievements." 88 percent – 84 of 96 – passed the blame onto their communications vendor for not being able to track tangible cost savings, enhanced patient safety, increased patient satisfaction, ensured regulatory compliance and improved staff efficiency, the survey noted. "The ROI of secure clinical communications platforms depends on their ability to interface and integrate with other healthcare systems," Brown stated. "Among the various clinical communication and collaboration platforms on the market, still in 2019, there remains a wide differentiation of built-in interfacing, including that of EHR vendors." Satisfaction with clinical communication platform interfacing is best measured by clinician feedback and data on platform usage, he added. Vendors with strong track records of high adoption and sustained utilization are best positioned to help providers maximize their ROI in care coordination improvements, he explained. "Secure communication platforms that have robust interfacing and intuitive application user flows are delivering positive clinician and staff feedback, strong user adoption and retention rates, and documented ROI," Brown said. "The challenge to CIOs is to measure and document those successes and ROI to demonstrate the organization mission of improved patient care through the implementation so results are both relevant and real time." Engaging patients and attracting healthcare consumers depends on the CIO developing meaningful metrics that are organizational mission-specific and are key for all health system executives to show evidence that the secure communication platform they employ is effectively encouraging healthcare delivery improvements and cost savings, he added. Elms of Critical Alert Systems added that another best practice comes after establishing an understanding of one's facility's clinical needs: Then, and only then, should one begin a product evaluation. "Don't simply ask your frontline staff what new tools they need – ask them what they believe are the barriers to optimal communication." "We recommend that the buyer create a list of 'must-haves,' 'nice to haves' and 'can't haves,'" he said. "Following the establishment of these parameters, the buyer/evaluation committee should engage in a rigorous assessment of what the vendors have to offer and, in doing so, make no allowances for compromise." Once a healthcare organization narrows it down to two or three systems, it should ask the vendors involved to set up demo systems of their communication technologies to allow organization staff to work with it in a simulated but realistic setting, he recommended. "Following this process, we recommend surveying the staff to gather valid feedback, preferences and recommendations," he said. "The combination of a comprehensive needs-assessment, inclusion of the relevant clinical leadership and end users, and a thorough evaluation of the solutions will help ensure that the implementation you choose will be successful and well-received by clinical users." On the smartphone front, when one thinks about their own phone, at a minimum most people have three different ways they can be reached via written communication: work email, text message and personal email. Add in Facebook, LinkedIn, Instagram and Twitter and the tally is now up to seven. "We know from personal experience that multiple communication channels can be overwhelming, and when you're experiencing communication overload, messages can often be missed," said Coyne of the Hospital for Special Surgery. "When it comes to patient care, the stakes are even higher since critical information cannot be overlooked. As an industry, we have a responsibility to streamline all communication related to patient care." Secure text, e-mail and EHR messaging all add up to one fact: There are many ways to receive a message. "We need to remember that the primary job of clinical staff is not to check messages, but rather to care for patients," Coyne said. "Don't simply ask your frontline staff what new tools they need – ask them what they believe are the barriers to optimal communication. Then, implement tools that break down those barriers." To avoid creating a barrage of messages from different platforms, see if governance can be created whereby the entire organization ceases old methods of communication and migrates to the new tool, or if specific tools can be designated as preferred mediums for certain types of messages, he advised. On another front, make the feasibility of obtaining meaningful analytics a primary part of the decision-making process and not simply an afterthought once implementation is complete, Coyne added. "Putting several applications on a mobile device inherently means the data being put into that device will be stored in multiple databases, and even if all of the applications allow for data sharing, it's going to require greater effort to combine information from those databases in a cohesive way," he concluded. During April, we'll talk to experts and thought leaders about what's really happening in interoperability and share insights about what the future holds.